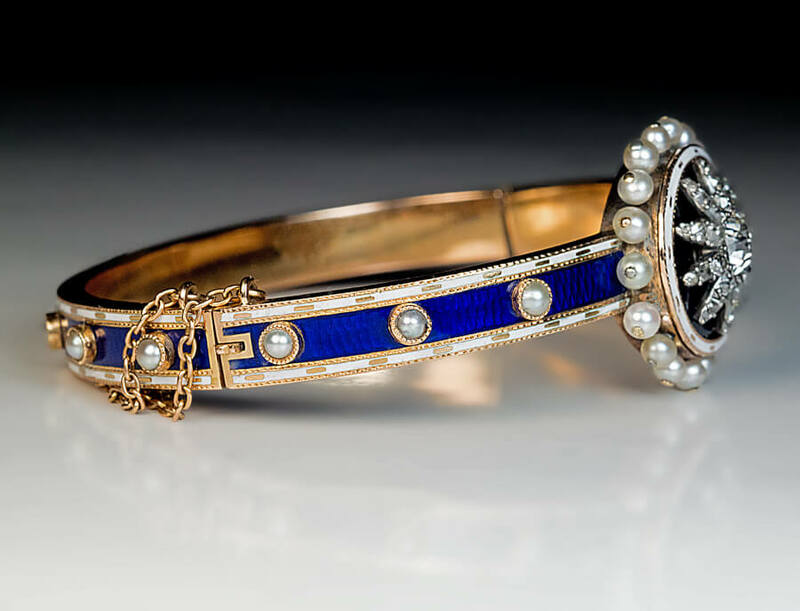 A neo-classical 14K gold bangle bracelet centered with a round medallion embellished with a diamond-set silver star on a cobalt blue enamel ground within an opaque white enamel frame surrounded by a row of natural pearls. 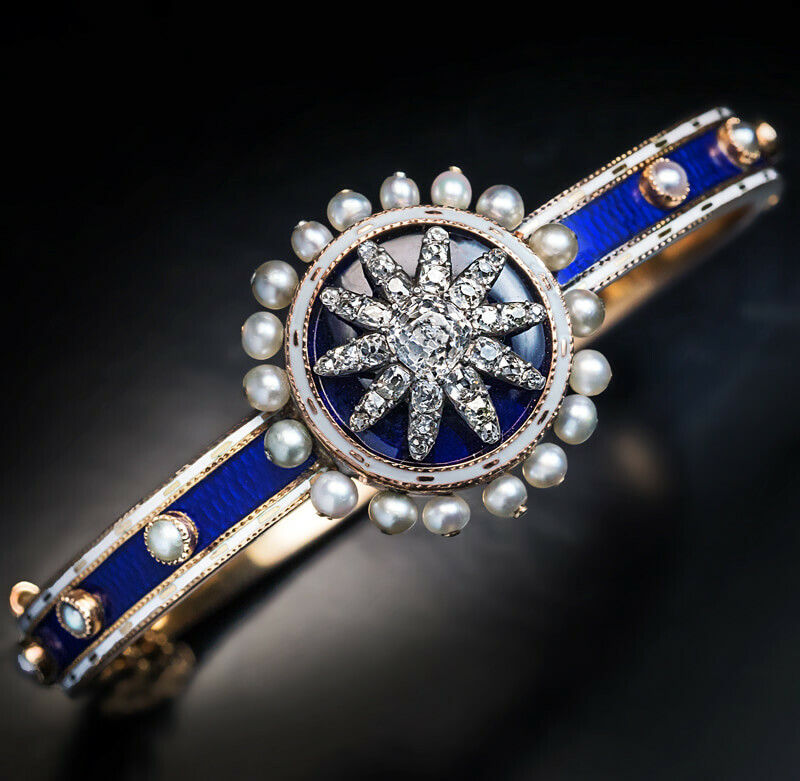 The star is densely set with antique cushion cut diamonds (center stone approximately 0.60 ct). 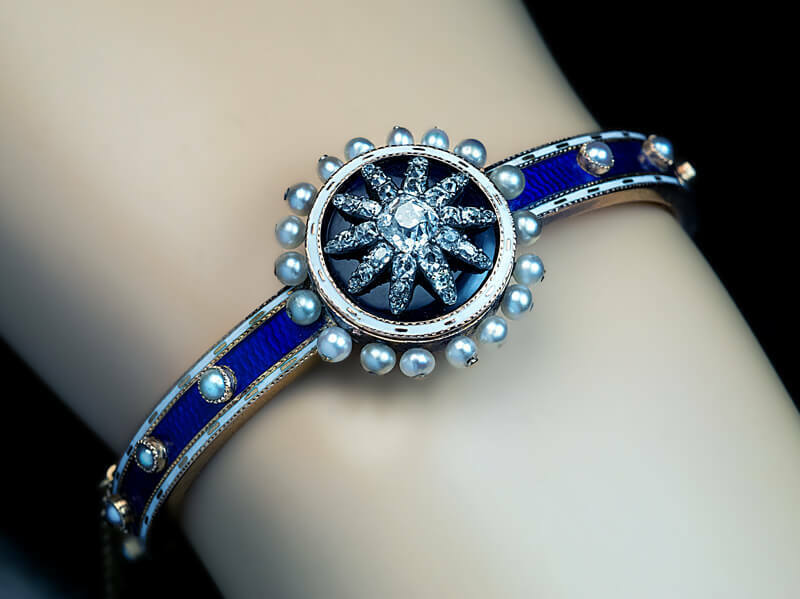 The center of the band of the bracelet is covered with a royal blue guilloche enamel between white opaque enamel borders and is embellished with bezel-set pearls. 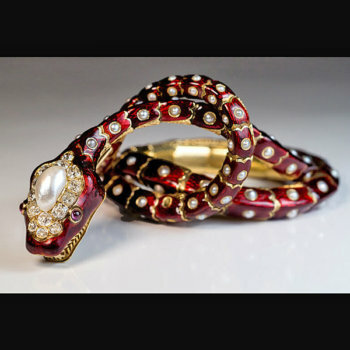 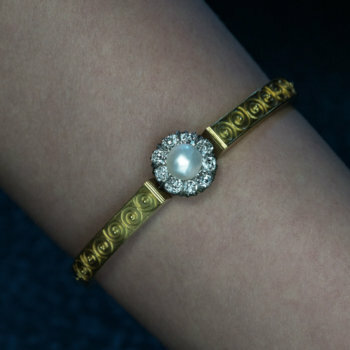 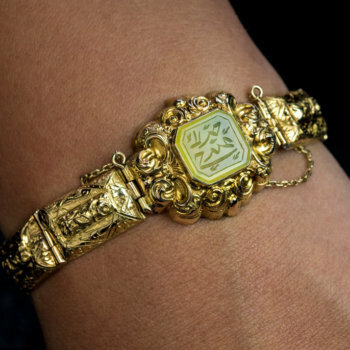 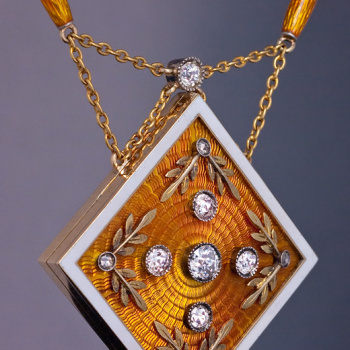 This is a very rare museum quality late 18th – early 19th century piece of jewelry.